Go Shopping in Your Wardrobe! It will save you money. Go Shopping in Your Wardrobe! Through the eyes of a Money Mentalist who, saw my role as a Personal Stylist one that will save you money and be value for money… Written by Lynda Moore from Money Mentalist. It’s a New Year and I decided it was time for me to find out. I don’t really consider myself a clothes, shoes and handbag sort of girl. I think my wardrobe is pretty small (and under control) compared to some of my friends. There is also bit of a standing joke in our family that when we go away on holiday, it is my better half who comes home with new shoes and shirts; not me! Periodically, I do the wardrobe de-clutter. We have the ‘Op Shop’ bag in the wardrobe and we both toss clothes and shoes in there when the mood takes us. 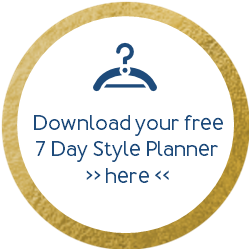 Just before Christmas, I met a personal stylist and one of the first things she recommends when doing a re-style, is a wardrobe audit. I thought, oh, what a coincidence – having just pictured the Op Shop bag in our wardrobe! So, with a little bit of trepidation I booked myself in for one. Then the thoughts started coming: what if nothing in my wardrobe is ‘right’? Is she going to ‘make me’ get rid of that dress that I still have from my 21st? I had visions of multiple shopping sprees coming up. About now, I can see you blokes totally switching off and thinking, “this isn’t for me”. Well you couldn’t be more wrong, so stay with me on this one. It isn’t only women who have personal stylists, it is becoming more popular for men as well. Whether it is a suit for a particular job interview or the upcoming presentation, men (yes, even Kiwi men) are becoming more aware of the importance of looking right for the right occasion – or making the most out of what we have. Back to me…. after spending a couple of hours trying everything on in my wardrobe and looking at it from the perspective of style, colour and, most importantly, how it fits, about 1/3 of my wardrobe was ‘cleansed’. Then the fun really starts. Working through what is left and putting together different outfits for different purposes. This is really where the shopping in your wardrobe begins. Just this session alone has been a great time saver for me. It is much easier to decide what to wear depending on what my day is looking like and who I am meeting. Quite a few items ended up in the ‘Op Shop’ bag to go to charity, but even more ended up in the ‘sell’ pile. So, there is the opportunity to recoup some of the investment I have made in the stylist. You may think engaging a stylist is a luxury. But take it from me, it is an investment that will pay back when you find yourself in the shop and you can proudly walk away saying no to the sales assistant who is trying to persuade you to purchase an article that you know just won’t look right the next day. If you would like to have a chat about changing your money habits, give us a call or drop us an email.